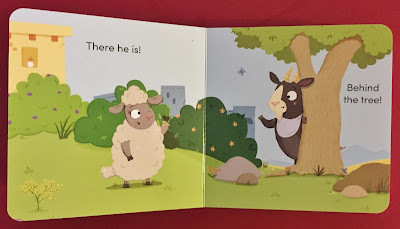 At present, I’m writing a lectionary-based Sunday School curriculum for toddlers and preschoolers. I’ve been discovering some fabulous age-appropriate God Books for very young children. 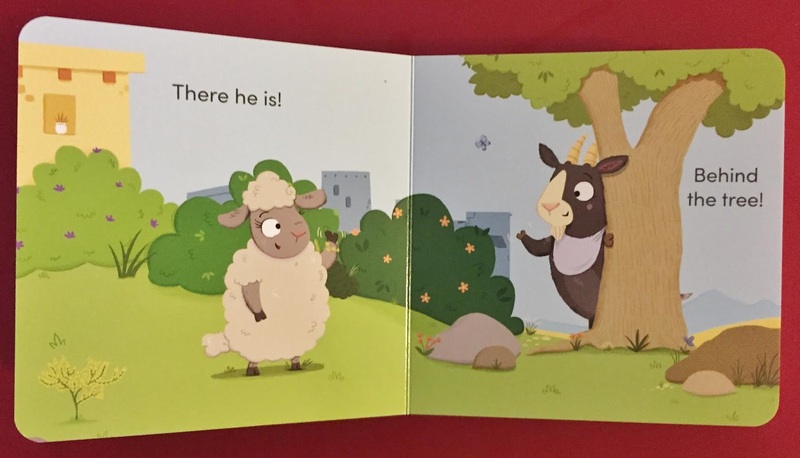 Today's book is in a series of books. Other titles are listed below. 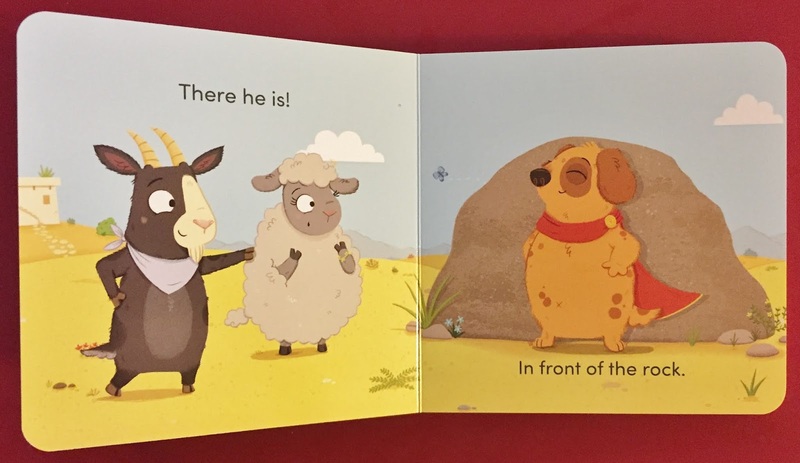 Thankfully in newer faith books, publishers are better considering developmental differences, important learning skills, and what delights very young children. 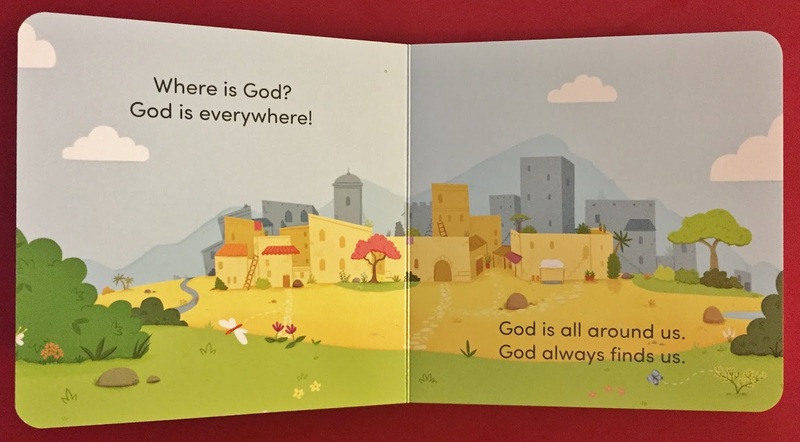 Summary: This is a seek-and-find board book about how God is everywhere, God will always love you, and God will always find you. 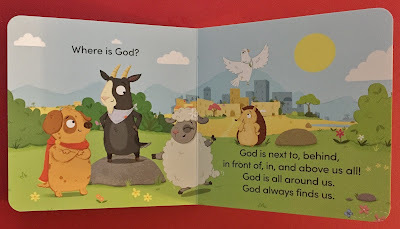 It begins with the profound question: Where is God? It follows some animal characters as they play, like a lamb named Ava. 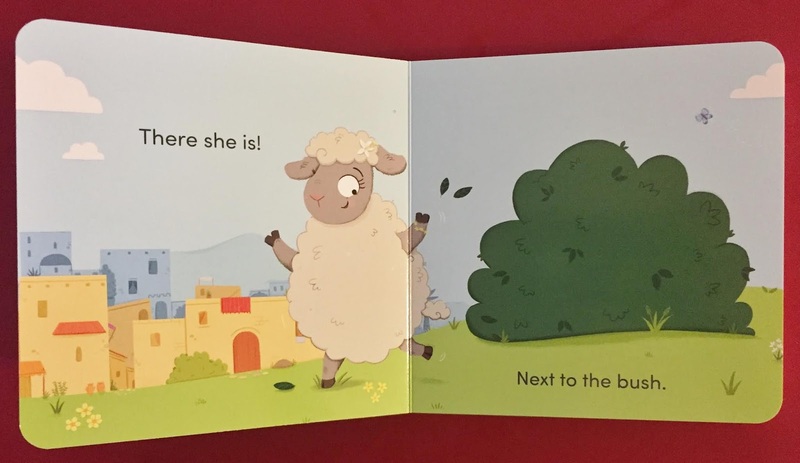 She is hiding behind a bush. God is with Ava even there. 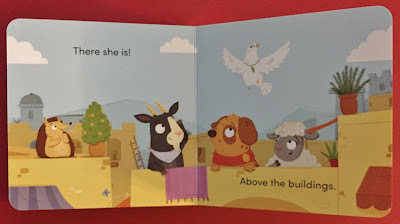 When Ava pops out, a positional phrase is used (next to). These are important for early language development. 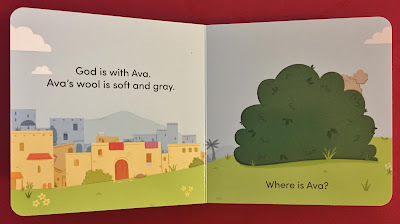 God is still with Ava next to the bush. Jo is behind the tree. God is with him too! And Rufus might be behind a rock, but God is with him there and when Rufus is in front. Descriptive sensory words are here too. 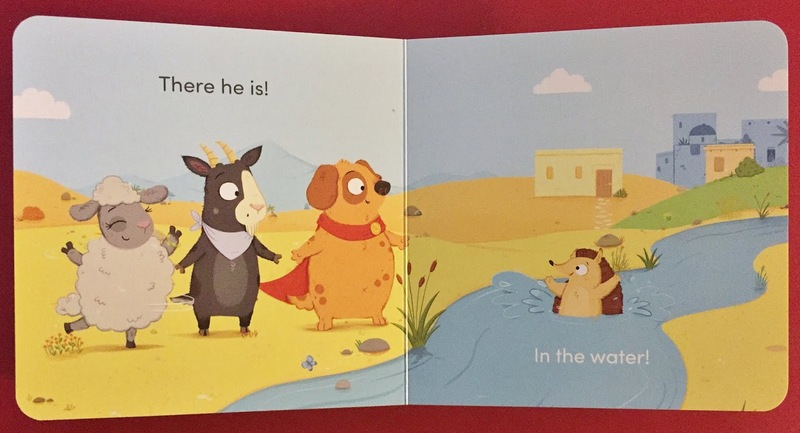 Prickly, brown Hal is in the water, but God is with him, even when he is out of the water. Uri is above the buildings with her smooth, orange beek. God is with her! A summary sentence says that "God is next to, behind, in front of, in, and above us all." 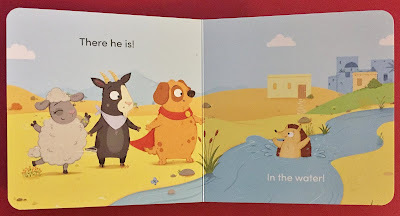 I also really like the many Spark House Bibles for children; two versions are for very young children. 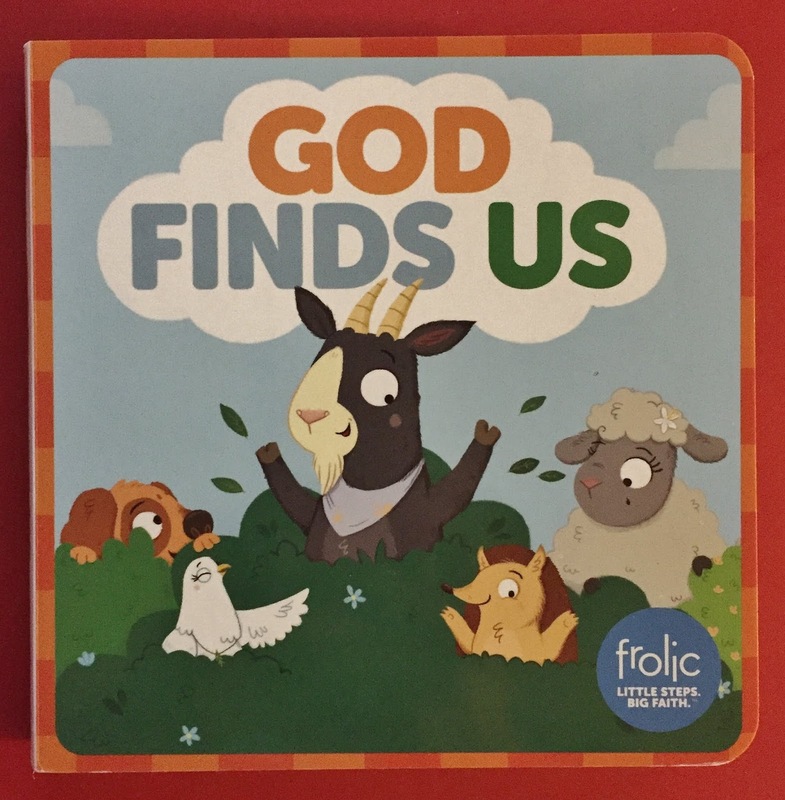 Look for the Frolic First Faith name. Idea(s) for Application: Read this book to a very young child at your family home or at your religious home and emphasize God’s constant presence.